New Introduction to Computers & the Internet course begins December 1, 2015. 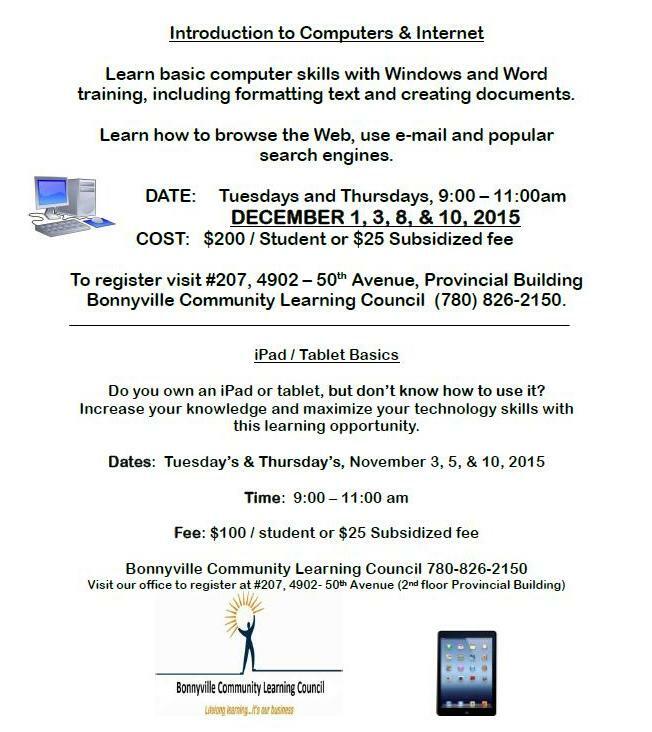 Call 780-826-2150 to register. 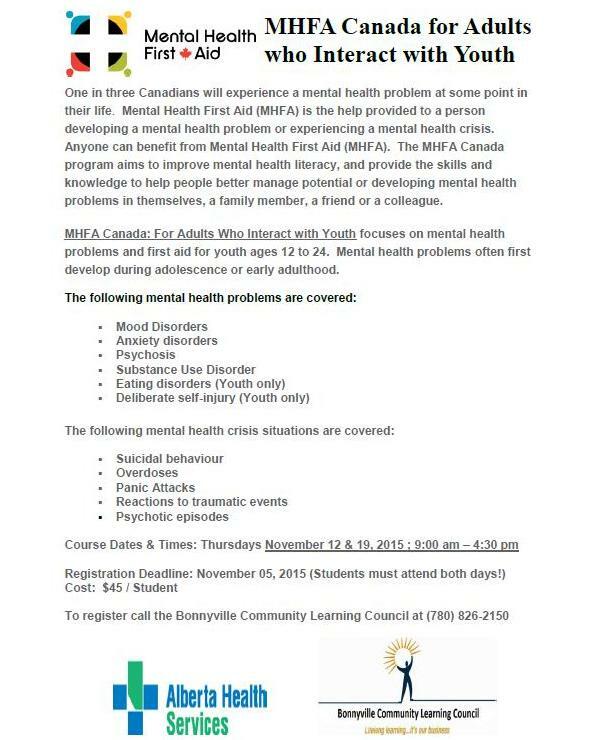 Call 780-826-2150 to sign up for this course on how to help a young person experiencing mental health concerns.